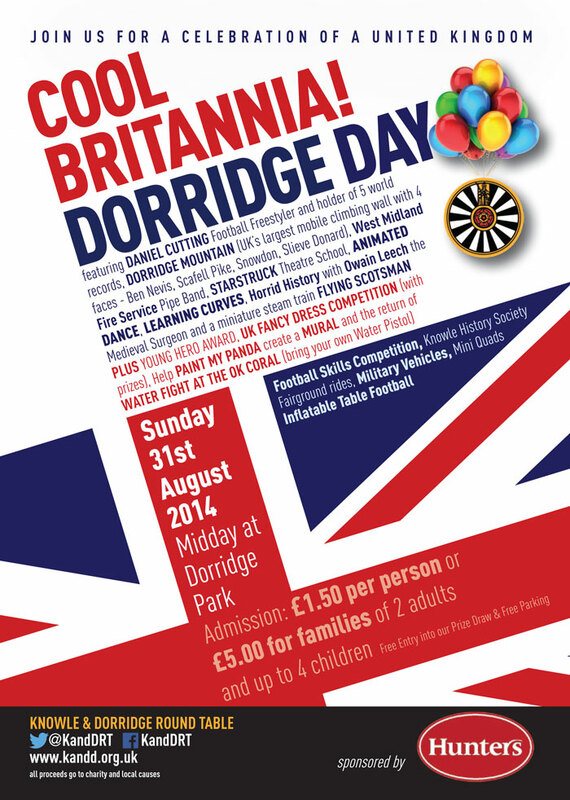 Dorridge Day 2014 – Cool Britannia! It’s a big year for the United Kingdom and wherever you stand on the Scottish independence vote, today is an opportunity to celebrate a ‘United’ Kingdom. As well as the fantastic range of stalls from local community groups and businesses, we have organised one of the largest mobile climbing walls in the UK. In the arena we have the West Midland Fire Service Pipe Band, local drama and dance groups and an awesome display of football skills by Daniel Cutting who holds numerous world Records for his talent. Tinkerbell the steam train was a hit last year so we’ve asked her to return and pretend to be the infamous Flying Scotsman. We have Paint My Panda creating a Dorridge Day mural which we would like you to get involved with and don’t miss our own version of a terrible history presented by Owain Leech, the Medievel Surgeon. Also look out for Daniel Cutting outside of the arena, he will teach some of his skills before the football skills competition. Get into the British spirit and enter our fancy dress competition for your chance to win a prize. We would like to thank all of the sponsors listed in this program including our main sponsor Hunters. 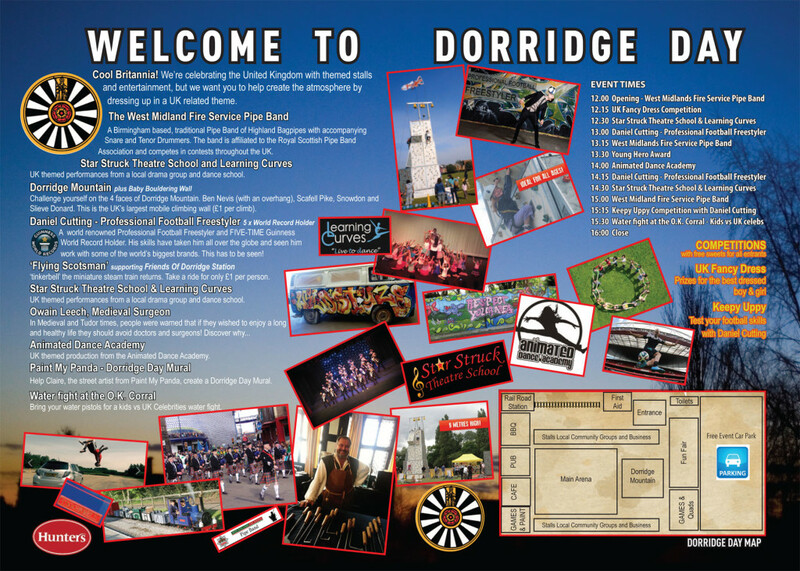 Without their support and your attendance, Dorridge Day could not have taken place over the last 50 years. It is a community event so if you have any new ideas or want to help, please get in touch.